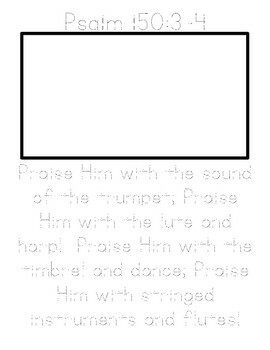 I printed the next page from our Psalm 150:1-6 Bible tracer to use this week. On Monday, Parker traced his verse while listening to the track. The next day, he illustrated his verse while listening to the sound track. On Wednesday, we cut it apart and he glued it together like a puzzle in his Bible notebook. On Thursday he recited the first two verses by memory. We continued lapbooking around the world with Kate and Mack. This week we were learning about Pakistan. Parker colored the flag and added it to his notebook. After adding their flags, the boys sketched a few things from this week’s reading. 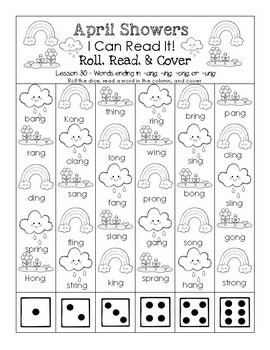 I created an April Showers themed set of worksheets for lesson #30. Parker used his dot paints to complete his Roll, Read, and Cover worksheet. The following day he used his crayons to read and color the second worksheet. I created a fun Carrot Garden Sorting by Vowel Sound activity for Parker this week. I set out the soil cards and the short and long carrot words for Parker to sort through. He read and sorted the container of carrot words. 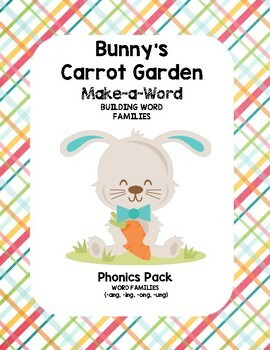 I created a Bunny’s Carrot Garden Make-a-Word pack for Parker to work on. I placed the carrots in a lentil bean sensory bin (I think black beans would have been better, but alas…..the lentil bean bin was readily available). I set out the Make a New Word mats and the corresponding letter tiles. Parker picked a carrot word from the garden. I read the word aloud and he chose the mat and used the letter tiles to build it. 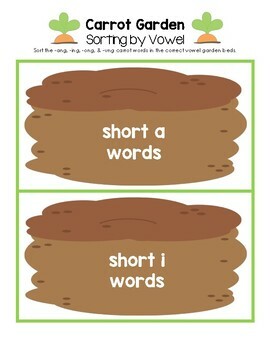 Later in the week we used the large Make a NEW Word mat for our phonics challenge activity. Parker tried to make as many words as he could from “BLAND”. I gave him a blank paper to record his words. He did a great job! I bought a set of cat preposition cards from The Montessori Print Shop. I set out the cards and gave Parker the labels to match up. He did a great job matching them. There were a few tricky ones, but we corrected those. In addition to our Singapore Math activities, we did a few pattern activities too. They coordinated with Jordan’s FIAR unit. We read Jane Brocket’s Clever Concepts Spotty, Stripy, Swirly What Are Patterns? together before our art project. I prepared the craft supplies the night before, creating cat templates from cardboard, and getting out the scrapbook paper. The kids chose the paper they wanted and the cat shapes. They traced and cut out their cats. They used crayon pastels to create a fence and starry sky scene as their background. They brushed white glue on the back of their cats and added them to the fence. Last, they added foam letters to spell out “kattileh” (Yiddesh for kitten). We went outside to stargaze. The kids noticed some of the constellations we learned about in our Follow the Drinking Gourd row. I set out a Layers of the Earth activity for Parker to work on. I brought out some metal balls, play-Doh, and layers of the earth nomenclature cards. We started with the solid metal inner core. Parker added a layer of yellow Play-doh for the outer core. We followed our cards adding a new layer of Play-doh. He was thrilled with the final product! We celebrated the end of our Mrs. Katz and Tush row with a tea party. I set out cakes on an art palette with various candies for decorating. We had MANY kitties joining us! I challenged them to create a pattern with the candies. Everyone created their own unique pattern. This was a really fun week of learning! We’re looking forward to week 31!